Many migrants in Australia set to benefit from budget measures announced on Tuesday, but new visa applicants will face higher fees. Many migrant communities look set to benefit from Tuesday’s generous pre-election budget. The government has earmarked $64.2 million for so-called “social cohesion” measures which help migrants “become established and integrated in their communities”. “This budget provides funding for local sport, community languages, national community hubs and grants to encourage mutual understanding and celebrate diversity,” budget material stated. More than $12 million over three years will be spent to establish the Community Languages Multicultural Grants Program, which will “support community language schools and connect young Australians to the language, heritage and culture of their community”. A further $22.6 million over four years will be spent on growing the national community hubs program and establish the national youth hubs program. The expanded network of Community and Youth Hubs will “provide migrants with access to services, support and learning opportunities, which will assist with integrating with the Australian community and in improving employment outcomes”. And $7.3 million over three years is earmarked to continue fostering integration grants to support community organisations that assist newly-arrived migrants to integrate into Australian society. There was also good news for Melbourne’s Greek community in the budget with $5 million allocated to the city’s Greek Centre Hub and Hellenic Chair in Global Diasporas at the School of Culture and Communications at the University of Melbourne. The remainder of the $64.2 million is spread over other programs. But the budget also provided further details on the government’s migration changes. 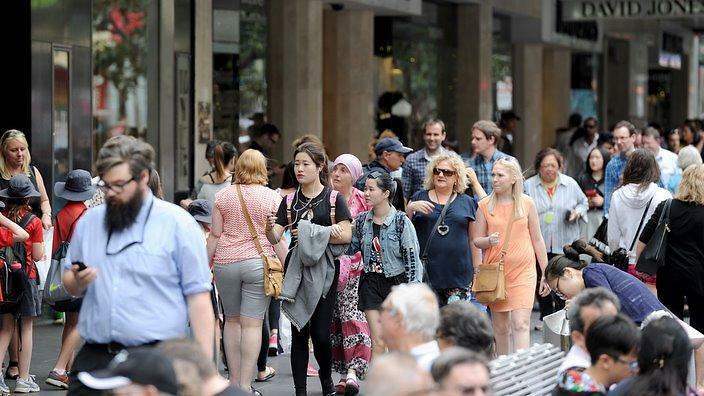 The Coalition previously announced it will reduce Australia’s annual migration intake from 190,000 to 160,000 places for four years from 2019-20. According to the budget breakdown, there will be 108,682 places in the skilled stream and 47,732 places in the family stream, including a combined 3,586 places for child and special eligibility streams. As part of a push to encourage more migrants to live and work outside of the major cities, nearly $50 million over five years will be spent on new visas to “better support the needs of regional Australia”. From November 2019, two new regional visas will be introduced that require skilled migrants to stay and work in regional Australia for a period of five years. Those that take up the new visas will then be eligible for permanent residency. The government is going ahead with a 5.4 per cent increase to the visa application fee for almost all visa sub-classes from July. The measure is estimated to generate an extra $275 million over four years. The skilled migration points test will be adjusted to further reward individuals and their partners for English language skills. At a cost of $1.3 million, the government is waiving visa application charges for competitors and officials participating in the International Cricket Council T20 World Cup in Australia in 2020. Indonesians were an unexpected winner from this year’s budget with an increase in the number of work and holiday visas available to Indonesian citizens, from 2,500 to 5,000 from next year. The measure is estimated to increase revenue by $40.4 million.